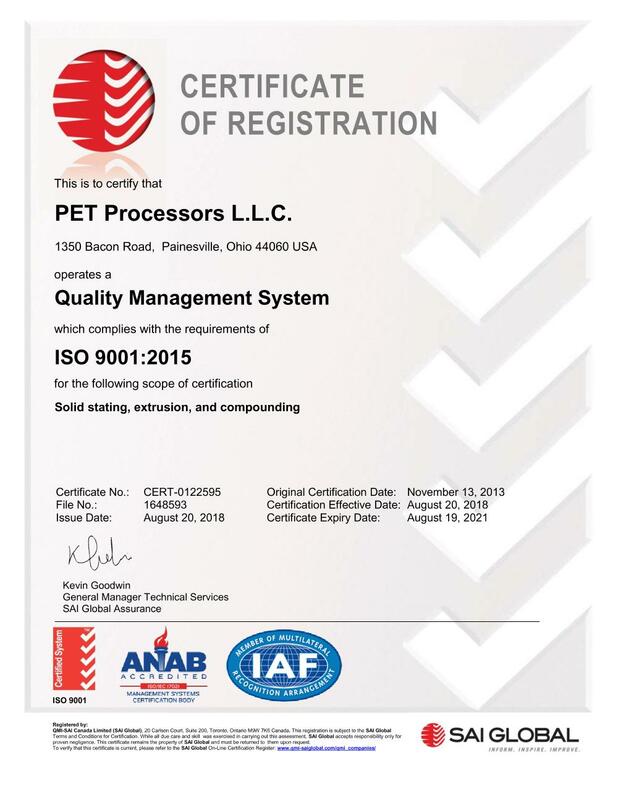 PET Processors, L.L.C. (PPLLC) will evaluate customer requests for processing new resins on a contract basis and provide a formal analysis of Legal, Environmental, Chemical, Safety, Testing and Processing requirements. The review of the listed critical areas will be led by PPLLC and all findings will be shared with the customer’s technology team in the attempt to bring developmental resins to markets in the shortest time possible. 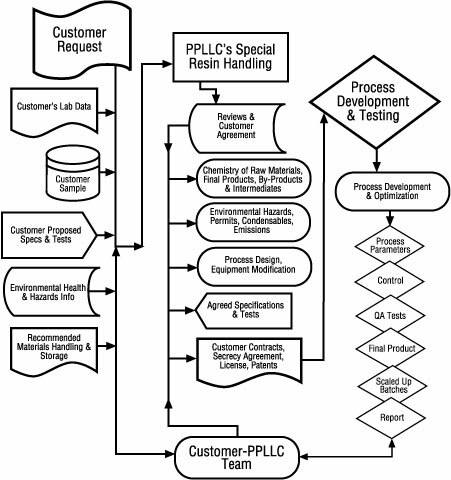 Once the above requirements are satisfied, PPLLC can procure needed equipment or modify existing equipment to process or test the polymer. PPLLC has the experience and the technical staff to ramp up the customer’s resin from the bench scale to a commercial product in the shortest time possible.